Technology is ever improving, and each year the boundaries for innovative technology and solutions are pushed with new solutions and improvements that bring with it new opportunities and this year will be no different. While technological advances are finding its way into various markets to create improved services and generate wealth, there is none more apparent than that of the mobile communications and marketing sector. As we find ourselves at the starting line of this new year making predictions of what 2019 holds for mobile & telecommunications is a pre-requisite to get the ball rolling. So what will 2019 hold for the mobile and telecoms industry? We've picked out six trends we think will be ones to watch this year. The innovation of 5G connectivity started to roll out in 2018 and will only continue to gain traction. However, according to eMarketer, its real effect won’t be felt until 2020. 5G's ability to process data more swiftly is predicted to supercharge marketers' capabilities around personalised content and real-time ad targeting at a more granular level, as well as power the evolution of connected devices like cars, speakers and wearables. An October Intel and Ovum study forecasts that video will comprise 90% of all 5G traffic in 10 years, signalling a significant opportunity for marketers to develop quality mobile content and better engage audiences. Big brands such as Google and Apple are demonstrating breath-taking new AR (augmented reality) demos on iPhone 8 and iPhone X and are proof that AR is going to be the game of 2019. With the most recent arrival of ARKit 2, Apple is providing developers and organisations with an improved platform to make AR apps. One critical development is likely to be a broader move to the mobile web, which will help brands untangle their AR campaigns from connection partners like Facebook, Snapchat and Shazam that offer platforms for AR — for a price — and can keep their data within walled gardens. Augmented reality will continue to give brands and marketers the ability to layer on data and computer-generated graphics on top of video, photographs and day-to-day life through our phones, special glasses and smart glass. If 2018 were about testing smart speakers' usability in the household, 2019 would be the year for brands to prove their voice tech's value. Smart speaker embracing is driving consumers' voice tech usage and pushing marketers to explore how to tap into this flourishing channel — something that will only evolve this year as people grow more comfortable conversing with devices and the technology becomes increasingly predictive, according to TetraVX's director of marketing Becky Linahon. The prevalence of text to voice is shifting how we interact with our phones, cars and homes. ComScore has predicted that by 2020, voice to text will account for over 50% of all search activity. While the impact of this trend isn’t limited to mobile, it is incredible to think of the opportunity this provides in our ability to interact with our mobile devices without needing to use a traditional keyboard. Healthcare will continue to change through the development and deployment of smart drugs and telemedicine allowing doctors to diagnose and attend to their patients remotely. These apps will not eliminate the personalisation of healthcare but make it more accessible and leading to the possibility of improving the healthcare system. 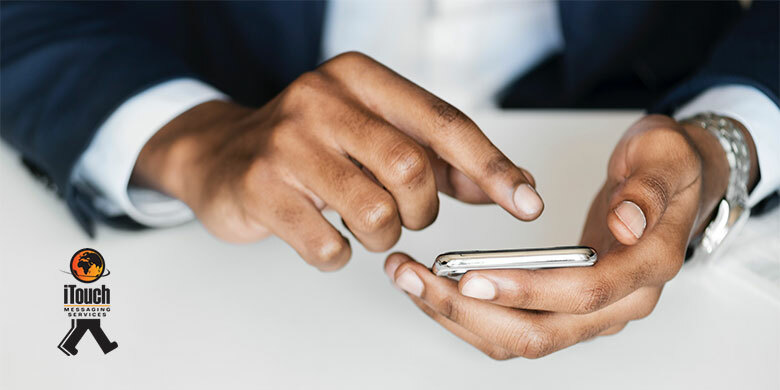 Bulk SMS has been used to assist the health and medical industry in the past, but we think there will be a preference towards applications in 2019. The cloud has become an essential technology for the advancement of app development. Applications that involve the use of artificial intelligence, machine learning, and IoT (Internet of Things), require large volumes of storage space. The cloud provides a storage solution for the inability to host all of this related data on internal servers. Mobile users also don’t have the storage capacity on their device to use apps that require large volumes of data. Once again, the cloud provides the storage capacity that frees up device memory for app users. Today, cloud computing has finally found its place with mobile apps. Now, we can expect powerful mobile apps which directly fetch data from the cloud and take minimum space in your smartphone internal memory. These predictions only show a preview of what is to come with these technologies still very much in their formative stages. As these technologies mature new and improved applications for it will be brought into the market which is an immensely exciting prospect. To remain relevant and competitive, it is essential for businesses to plan accordingly to make sure they have the relevant updates or additions in place before your competitors.